Red Roof Animal Hospital is pleased to serve Fort Lee, NJ and the surrounding areas. 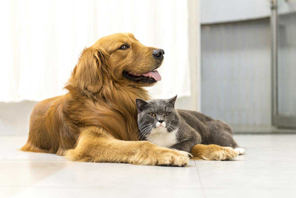 It is our goal at Red Roof Animal Hospital to provide the very best veterinary care to your pets as our patients. Our doctors and hospital staff strive to continue their education to bring you the highest quality care available. We also want you and your pets to feel comfortable while in our office. Give your pet the preventive care it needs with our affordable monthly protection coverage plans. The “Red Roof Vet Wellness Plan” is guaranteed to promote a longer, healthier and happier life for your loved one. We are here for you! We know that being a pet owner can be challenging and scary. We want to give your pets the lives they deserve. We know the best way to do that is to help you. So don’t be afraid to call us here at (201) 947-5600. We can answer any questions you may have. 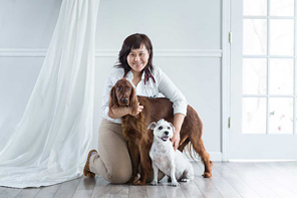 "Dr. Kim has a lovely and compassionate practice that she runs very effectively. I know that my pet and I are well cared for here and that is very reassuring!" "Ever time I have an appointment, I am seen in a timely manner and everyone cares about the health of my dog." "I had a sudden emergency with my schnauzer and they took care of her so well I was really impressed. My good friend had recommended me to her and I can't say anything close to bad about Dr. Kim or any of her staff. Thank you!" "Great fast walk in service"
"Excellent animal hospital that makes you and your pet feel comfortable and at home." "Dr. Kim is wonderful! She is dedicated and compassionate. She always takes as much time as needed for any concerns I have. The staff is courteous and great with follow up. I highly recommend Red Roof!"